Washington: Two major developments -- the 9/11 terror attack and Y2K bug -- brought India and the US together in a post-Cold War era, India's envoy to the US has said. 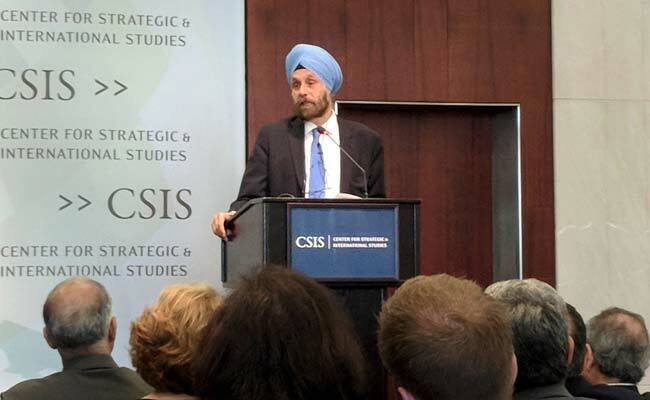 As India faced US sanctions in the aftermath of the Pokhran nuclear tests, the two countries were initiating dialogue in the years thereafter, the Indian Ambassador to the US, Navtej Singh Sarna, told a Washington audience. Pokhran-II was the series of five nuclear bomb tests conducted by India at the Indian Army's Pokhran Test Range in May 1998. It was the second Indian nuclear test; the first test, code-named Smiling Buddha, was conducted in May 1974. "Those were the days of Y2K and suddenly Indian computer engineers began to solve problems and actually set things right all over the United States. And we went up in respect. The diaspora had become about one and a half million and was beginning to be heard not only in companies and in hospitals but also on the Hill. So that's where it all began," Mr Sarna said at the Center for Strategic and International Studies (CSIS). The Y2K bug or the Millennium bug was a problem in the coding of computerised systems that was projected to create havoc in computers and computer networks around the world at the beginning of the year 2000. "Then somehow, a couple of years later the most significant thing happened, a tragic event actually, but it brought us together was 9/11 because we had known terrorism and cross-border terrorism and the evils of terrorism for the last three decades before that. "But in a very unfortunate way terrorism was brought transatlantic and hit America at home. I think the kind of understanding and the bonding that created on that has been a very important factor in bringing the two countries together, Mr Sarna said. The Indian Ambassador was speaking at an event titled 'US & India: From Estranged Democracies to Natural Allies' organised yesterday by the CSIS to mark the 20th anniversary of the Indian nuclear tests. Mr Sarna said now India is at a point when Prime Minister (Narendra) Modi can stand up in the joint address to the US Congress as he did in 2016 and say that the two countries have overcome the hesitations of history. "We are at a time when President Trump can declare that the relationship between India and US has never been stronger, has never been better; that we can be designated as a major defense partner by the United States; that we can be actually conducting more military exercises with the United States done with any other country;" he said. "(We are at a time when) we can be proclaimed from this stage itself as the other Asia bookended of stability of the Indo-Pacific," he said. India is now seen as a huge market; middle class will be half a billion strong by 2025. India is as a source of professionals as a source of investment and so many other things. "And a four million strong Indian-American community getting stronger in political terms, besides the economic terms, he said. In addition to that is the 70-year-old factor that both are democracies; that there is a multi-religious, multi-ethnic, multilingual society which sees the world in the same way as America does, Mr Sarna said. Noting that objective changes did take place, Mr Sarna said India unleashed its potential through economic reforms and other changes and global conditions changed to help this. "Fundamentally what changed was that we opened our minds to each other. That we began to trust each other and not to second guess each other. That we actually began to talk to each other rather than talk at or talk past each other, which we often had done in the past, Mr Sarna said.